Announcing my NEW online store! I'm thrilled to announce that my New Online Store has launched! I'm starting off small with this new store. My hand screen-printed pillows and tea towels are available as well as handmade aprons and gicleé art prints. My Etsy Shop is still open and will be continuing to have everything that I make available as well as my fabric stash. My website online store will have my products that feature my own textile designs and artwork. Over time these two stores will evolve and I'm happy to have more opportunities to sell my products online as well as in local shops and at art markets. It's about to get really exciting this fall so stay tuned!! I've been busy working in my studio and quiet on some of my social media accounts lately but I'm back now and ready to blog! I have so many fun new things I'm super excited to share about. 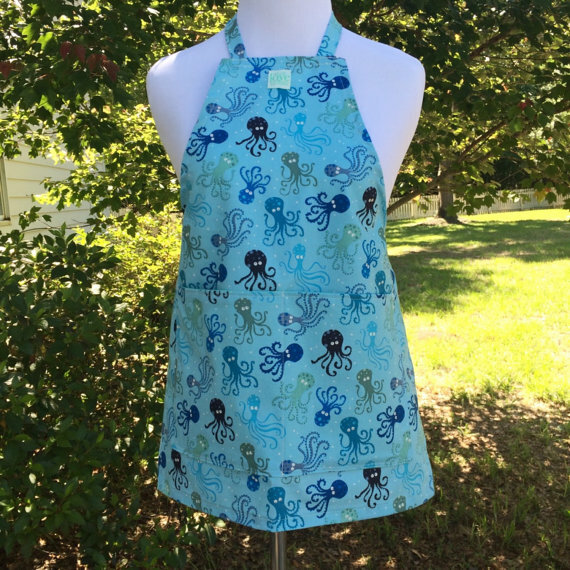 Today I want to talk about my Children's Aprons! 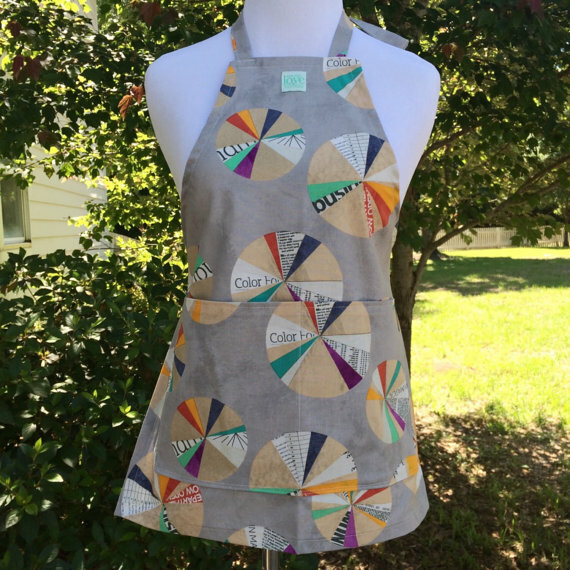 Art smock, play apron, tool duds, whatever you choose to call them, they are adorable! These are durable vibrant aprons for children to wear while playing, helping a parent in the kitchen, during an art session, or just for fun. They have ties at the neck and waist so they can be easily adjusted and two lined pockets at the waist. Currently, I have nautical, art, and floral themed aprons, as well as a few odds and ends (turtles, boy scout/camping, retro cassette tapes). 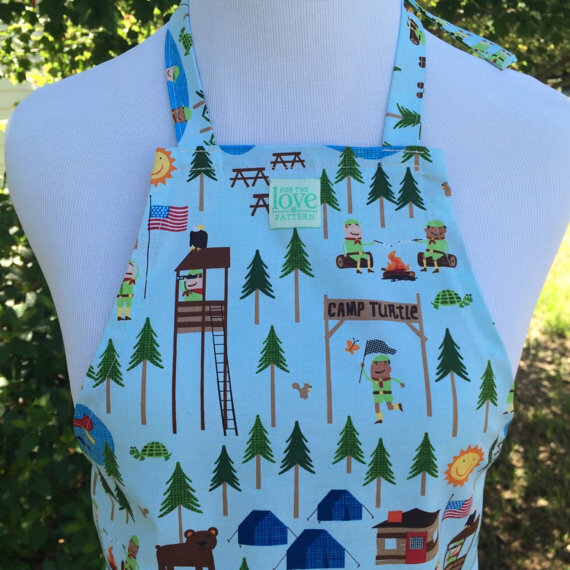 I've had an overwhelming positive response to these aprons, boy or girl, your child will love wearing one. 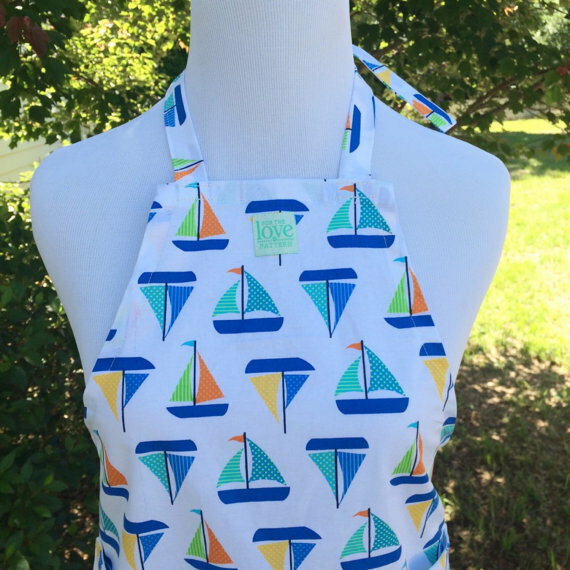 I've even had a few requests for adult aprons to match these darling small ones. I always take custom orders when I can in my etsy shop, so don't be shy about asking questions or requesting something special. That's it for this Monday update and now it's time to for me to get back to work in my studio. Enjoy and Happy Monday! 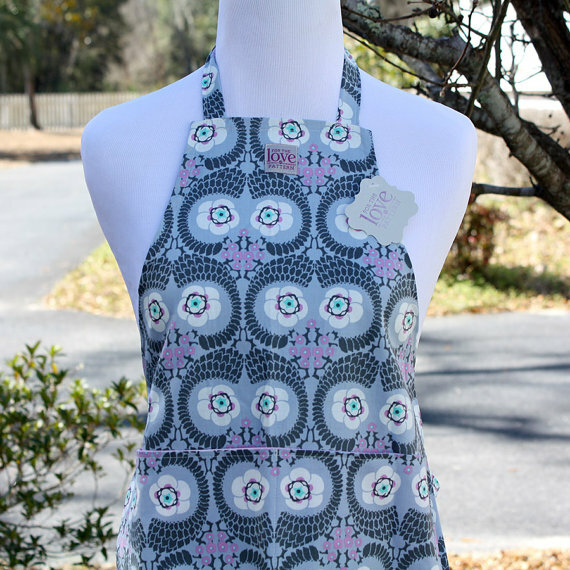 These aprons are available to purchase in Savannah, GA at Scribble Art Studio and in my Etsy Shop. They will be available shortly in other local stores & more fun prints are coming soon!! Just for fun, I've been experimenting with printing my logo on different types of fabrics. It's an easy way to create a sign for art markets and the great thing is you can customize it any way you want to. I made a few tea towels just for my own personal use with my ironwork inspired Heart Garden print and printed the logo on the bottom of them. After a few people had seen these tea towels, I got requests to have some available in my etsy store. 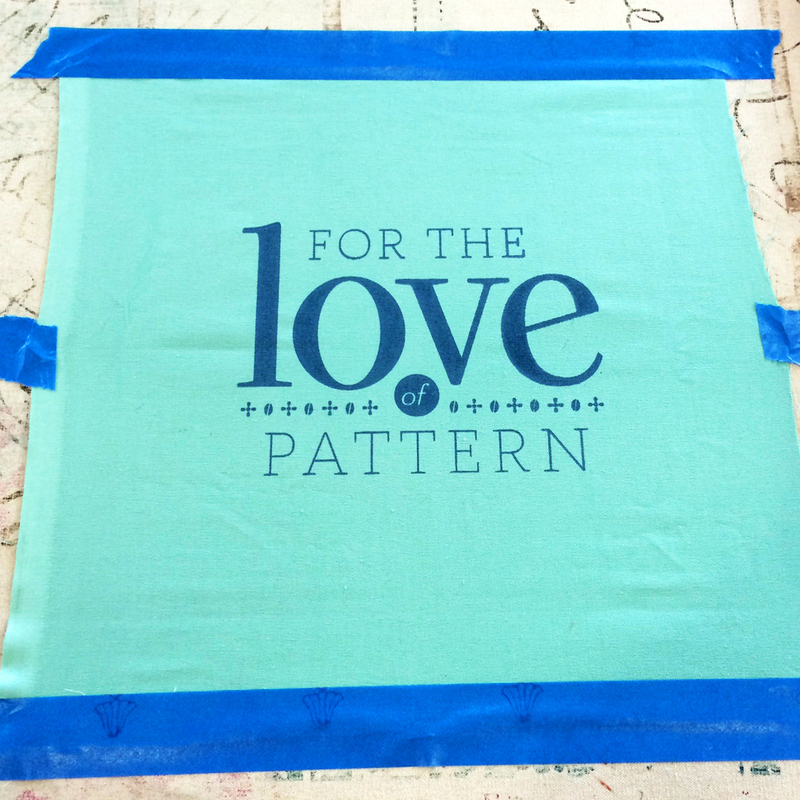 So I've printed a limited edition of For the Love of Pattern Logo Tea Towels for those interested in them. Check out the tea towels here! Enjoy and Happy Monday! I've been getting a lot of inquiries lately about offering prints of some of my original artwork. I'm starting small with the idea of art prints and I've started an open edition of giclee prints for two of my watercolors, Delight in the Little Things and St. Simons Light. I am extremely impressed with the quality of these prints. The inks are high quality and archival so these prints are made to last. 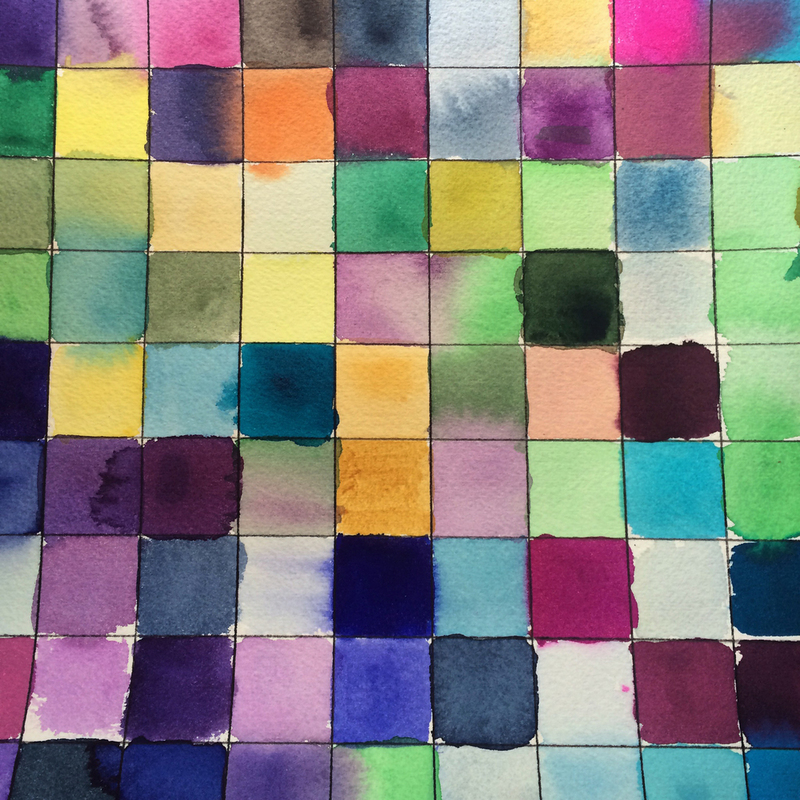 They look just like the originals and are even on textured cotton paper to enhance the watercolor painting. For now, I just have these two watercolors available but I'm also working on a new series that will eventually become fabric yardage. I'm excited because it's something very different than what I've done before, a whimsical watercolor series that I plan on offering as open edition giclee prints. I'm being very vague about the subject matter on purpose because I want it to be a surprise! Archival Giclee Art Prints are available in my Etsy Store, enjoy and Happy Monday! For the Love of Pattern is featured in the latest issue of Savannah Magazine Homes Edition, Fall/Winter 2014. The article is included in the Front Porch Local Artisans section. It introduces my design studio, talks about what inspires my work, as well as the vision for the studio and future projects. For those of you in Savannah please check out the article as well as the other local artisans featured in this issue. One thing I love about Savannah is the overwhelming support from locals and being able to easily connect with other professionals. I'm grateful for the southern hospitality that I've seen in this city and excited to share my first magazine feature! Happy Monday! As promised I'm sharing my submission for round 1 of Lilla Rogers' Global Talent Search. Please check out all of the other amazing entries here and on this pinterest board. I'm so happy that I was able to participate in this amazing opportunity! 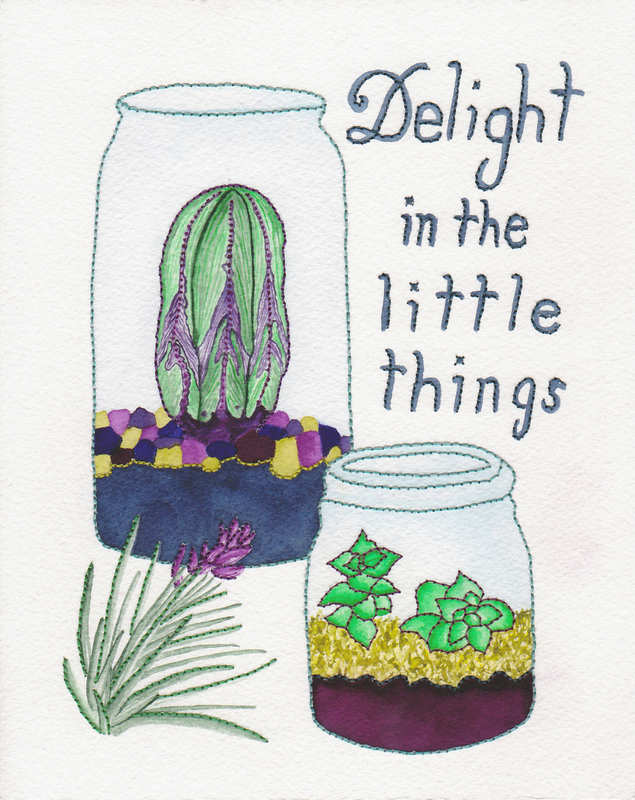 Above is the finished piece, "Delight in the Little Things". I used watercolor and hand embroidery. Below is the original ink drawing (left) and watercolor before the hand embroidery (right). For more information about this project please refer back to my original post about my submission to the Global Talent Search. The original artwork is for sale in the For the Love of Pattern Etsy Store and I'm considering eventually having a small selection of prints available in the future too. Thanks for reading and enjoy! Today I wanted to share a top secret project that I've been working on. Ok well, it's not that top secret but it's for a competition so I cannot share the finished piece yet. I'll only be sharing a snippet of my work and inspiration used for the project. I'm participating in Lilla Rogers' Global Talent Search this year. I found out about the competition through social media and thought it would be something fun to get my creative juices flowing and end the summer with. There is something exciting about being part of a collective project and being able to connect with other artists through social media. I decided from the start, that although it would be awesome to be selected to move to round 2 & 3, no matter what I would still have fun and just be happy to be a part of this global talent search. The first assignment was to create an individual piece of wall art with the theme of little terrariums. It was a fun project to work on and luckily I have a nice selection of terrarium style plants around the house that I used for research and inspiration. The project was left open to our choice of style, media and interpretation of the theme. We were able to choose from children or adults as a demographic and had to include at least one word in the piece. I decided to use the combination of watercolor paint and hand embroidery as my media for this project while sticking with my detail orientated style of line drawing. It was easy for me to choose a saying instead of just one word. I've always felt that the little things in life make the extra difference to brighten your day so I chose the phrase, "delight in the little things". I think the saying goes well with the theme of little terrariums, how they are fun to create and compliment the spaces they adorn. I'm excited to see all the work that was submitted once the round 1 gallery is published and I'll also be sharing my entire work of art once it's published on the Lilla Rogers site. Good luck to everyone that is participating! 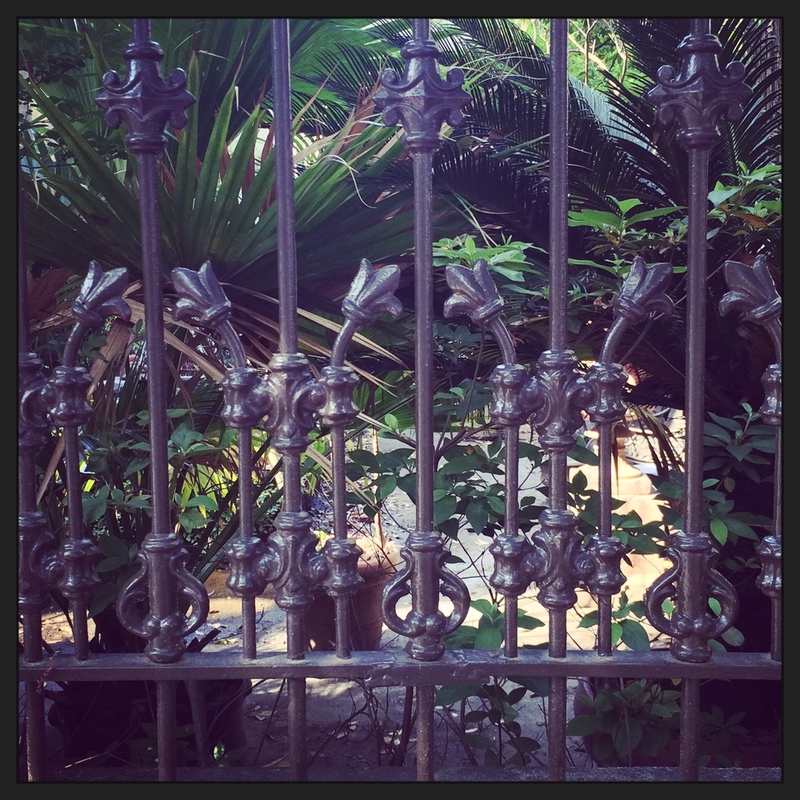 Today I wanted to give you an update on my Savannah Ironwork Collection. Lately, I have been busy in the studio screen printing, sewing and building inventory. I've finished printing a large collection of tea towels and a first run of handmade pillows. I'm very happy with the results and have been getting great feedback so far. The tea towels are perfect for a guest bathroom and useful in the kitchen. I've been using a set of towels that I made for myself drying dishes in the kitchen and they have held up well so don't be afraid to use them. As my grandmother would say, things are made to be loved and used not to be folded and stored away. The pillows that I've made are 16" by 16" and the pillow forms are included if you purchase one. The pillow cover has a natural invisible zipper in the bottom seam so it can easily be removed and washed. 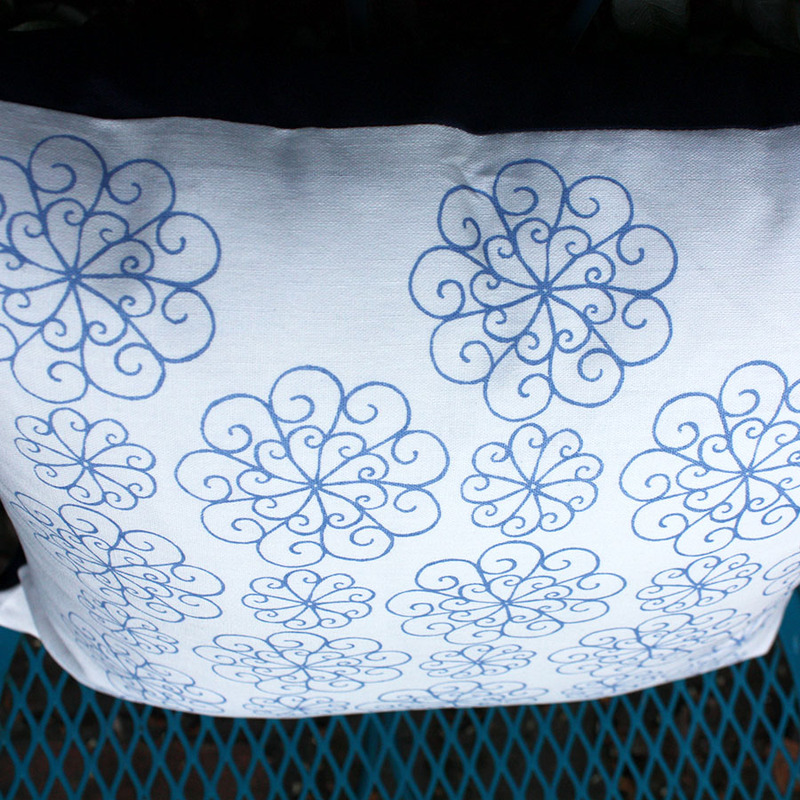 I screen printed my colorful designs on white cotton for the front of the pillow and chose a coordinating solid color for the back of the pillow. The pillows can be reversible whenever you feel like a little change of decor and would enjoy a solid color. I always like to have the option to turn my decorative pillows around so if someone chooses to use it then the decorative side stays clean. 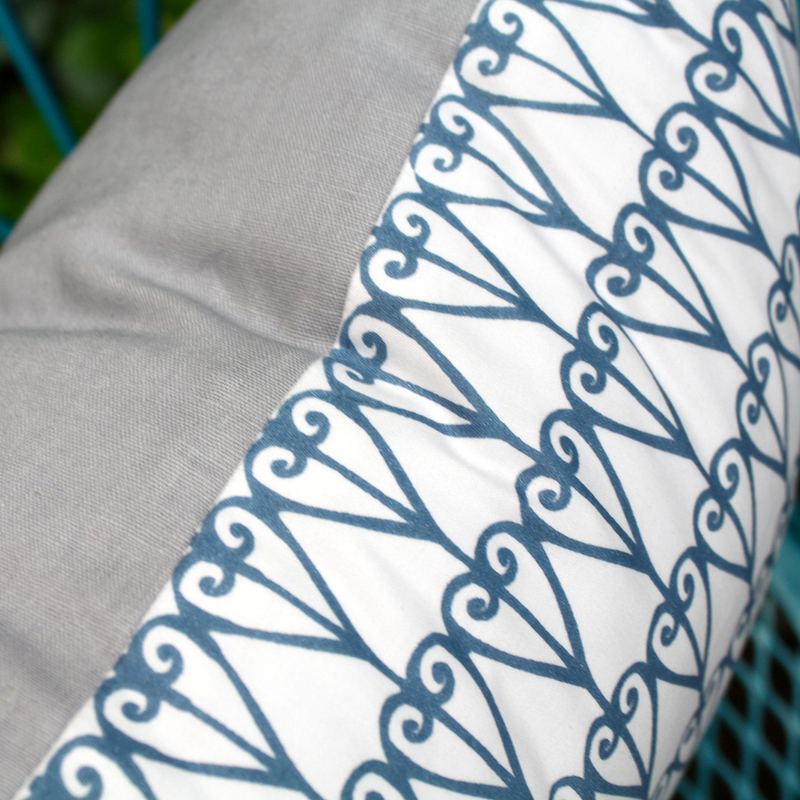 Below are close up images of the pillows that show how the designs look with the colors that I chose for the back of the pillows. I've paired my screen printed designs with bold Robert Kaufman linen cotton blends. I love choosing color coordinates so this project has been fun and relaxing to work on. This was one of those times where my vision turned out exactly as planned which is always an extremely rewarding process. All of these items are available in my etsy store. Enjoy! This week's blog post is a quick studio update that will be short & sweet, focusing on visuals. I want to share my progress with my first textile collection, the Savannah ironwork series. I have four patterns ready in repeats and am working on a few more. 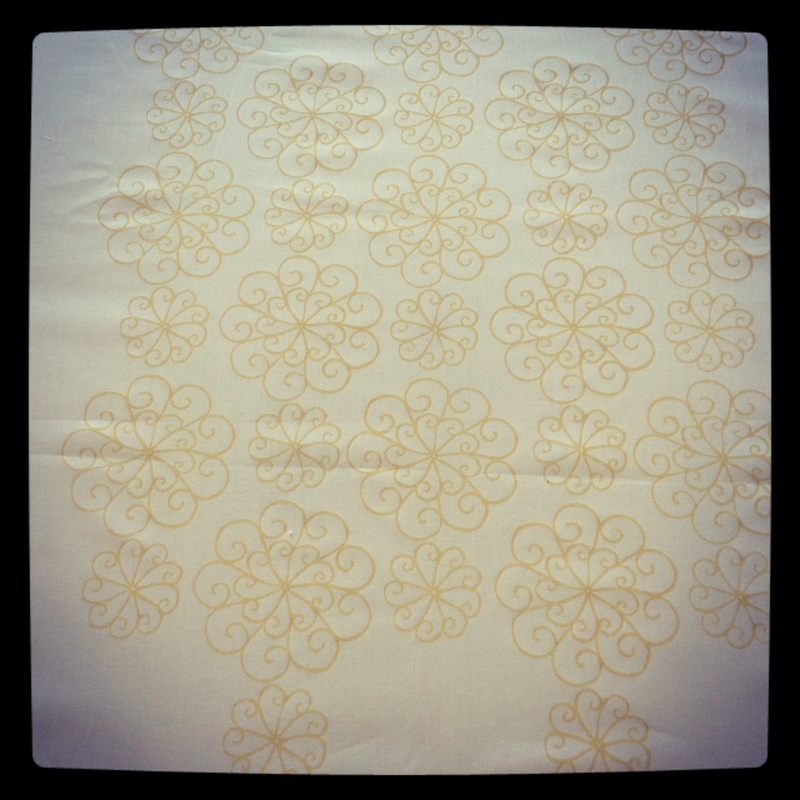 I've been screen-printing in the studio to test these patterns out and make sure they are set for yardage. It's always extremely exciting and rewarding to be able to see the design on fabric instantly. 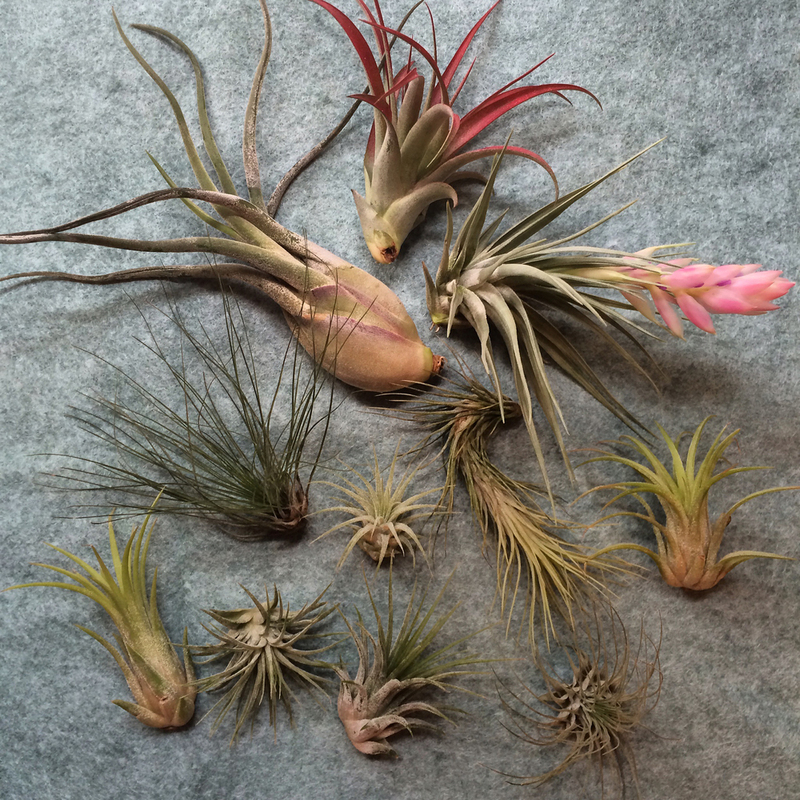 Below are a few images of my progress, enjoy and happy Monday! A limited collection of tea towels, pillows, aprons, coin purses & cosmetic bags will be available with these hand printed fabrics soon! Do you have a favorite design? Please comment and let us know! Savannah is such an inspirational city! I'm lucky to be able to call this place home. One of my favorite things to do is to walk around and enjoy the city for what it is. It is a special treat when I have the time to wander around the squares and soak up inspiration. The city is full of history, beautiful architecture, plenty of places to see nature in it's wonder and people who care about this unique place. I've always admired the historic ironwork in Savannah and see so many possibilities of how these designs can translate to pattern on fabric. My very first collection that I'm working on is a tribute to Savannah and it's rich history and beauty. I've been photographing ironwork that I walk by every day and drawing motifs inspired by the ironwork to put into repeat pattern designs. This collection is making me really excited about seeing my designs on fabric and I can't wait to share them with you. Lately I've been really into photographing using Instagram and printing photos at PostalPix. It's a great way to observe and document on a daily basis when you do not have your camera with you. Please check out my latest Instagram photos to see what I have been up to. 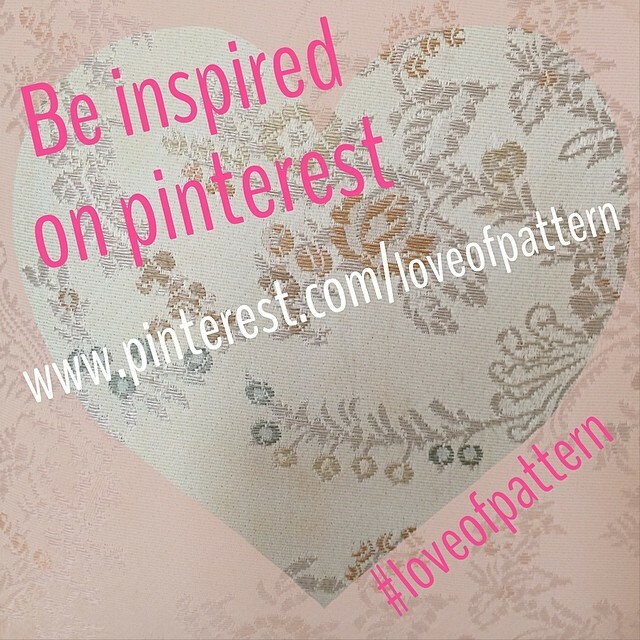 Welcome to For the Love of Pattern! I'm excited to announce I'm starting a design studio in Savannah, GA. I'm focusing on creating my own textile designs and will also be designing handmade fashion accessories as well as home goods. I'll be introducing a lot of new things soon so stay tuned for more exciting updates and events. 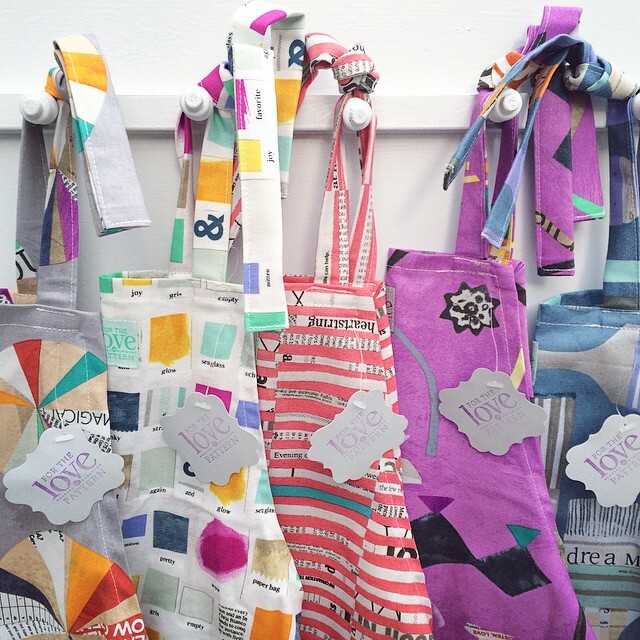 In my new studio, I've been working on a collection of garden aprons. 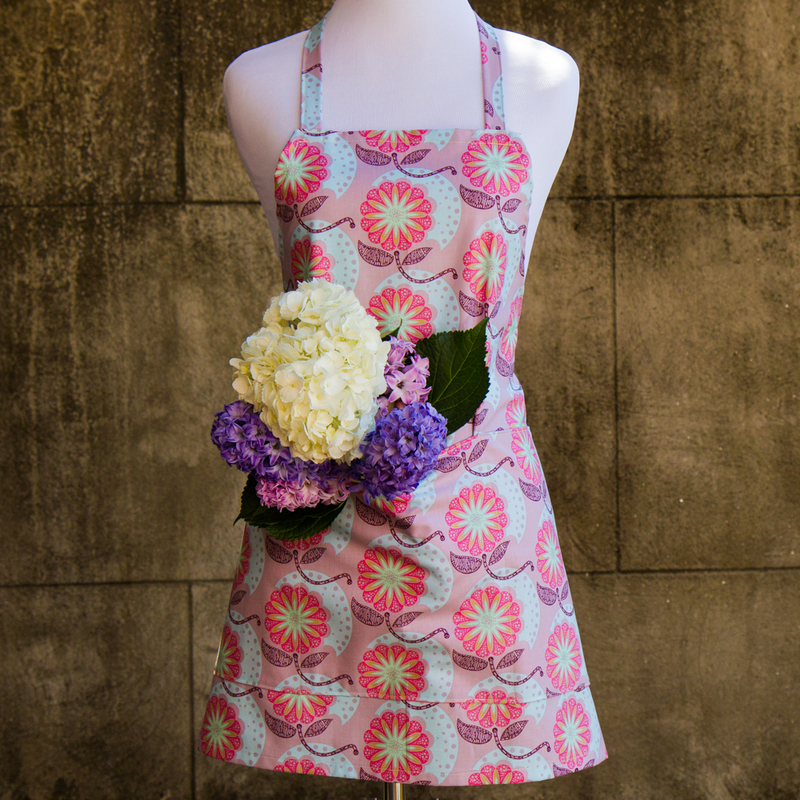 I've chosen garden themed fabrics from some of my favorite textile designers (Amy Butler, Anna Maria Horner & Martha Negley) to launch this apron design. The garden apron features a simple design with three large pockets. It is something easy and very comfortable to wear while working in your garden. Not only will it protect you from the elements but you will be able to keep your gardening tools handy for all kinds of projects. 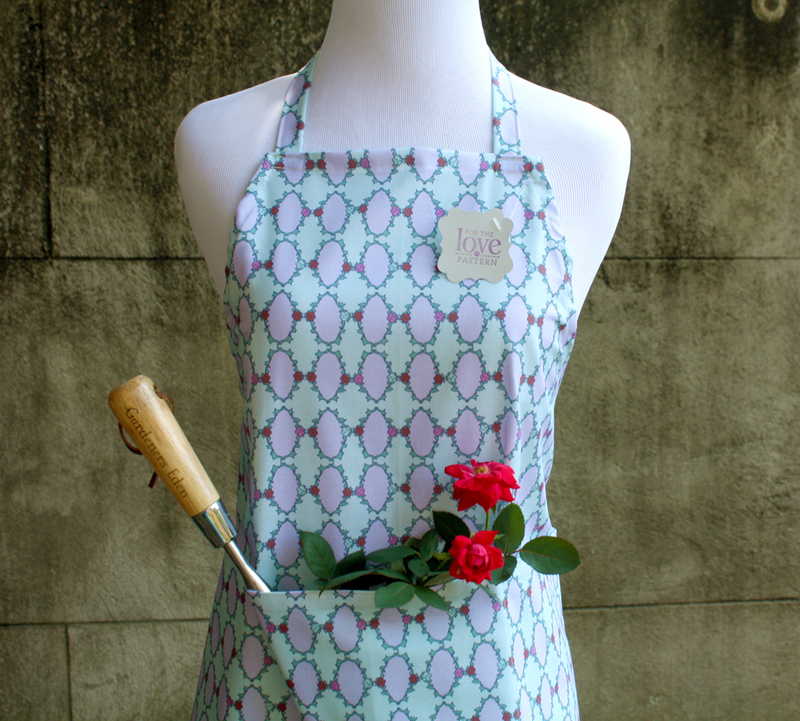 If gardening isn't your thing, don't worry it could also be a work apron or useful in the kitchen. They are for sale here. Thank you to Mad Law Media for the lovely photos!